Many watch brands ship the watches seperate from the presentation box. I recently saw how AP ships the watches. 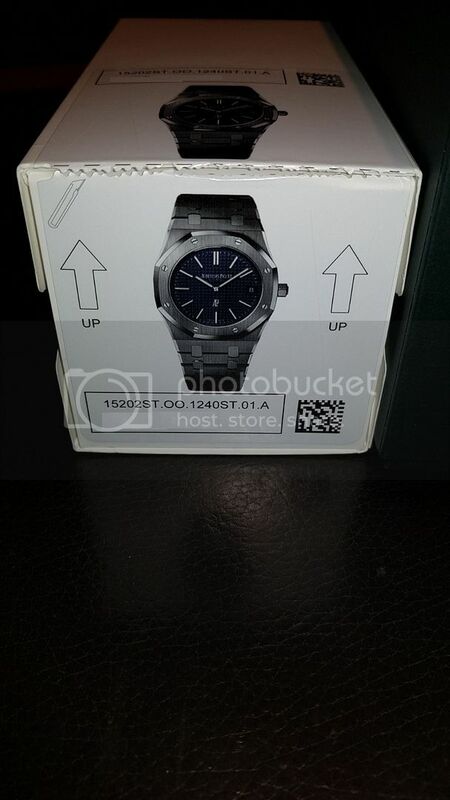 Here is the box (watch only) that the 15202 comes in! I am sure many of you have seen this before. PS. My Bratorelli was purchased pre-owned so I never saw this before.